Showing results for tags 'hobbies'. Breedables - Yea or Nay? I'm pretty new to the forums - forgive me if I'm posting this to the wrong place. 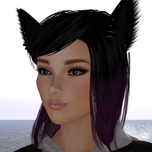 I've been in Second Life for several years now and I have a friend that's been into several breedables over the years. She seems to love them, but I've never gotten into them (honestly, I've never really tried to). It seems like some people love them and some people hate them. I was curious to get some feedback on what people think about them. Are they fun and addictive, or pointless and laggy, or something else? I'd love to hear some opinions!